This simple yet entertaining app is a great way to get toddlers, preschoolers and kindergarteners excited about counting, categorising and comparing. 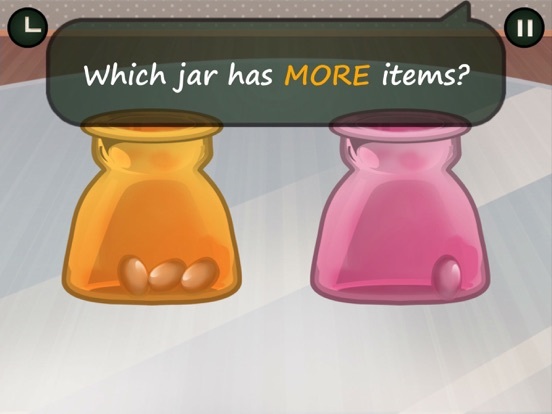 Each time the user selects a right answer, they are rewarded with a sprinkle of brightly colored stars on the screen. 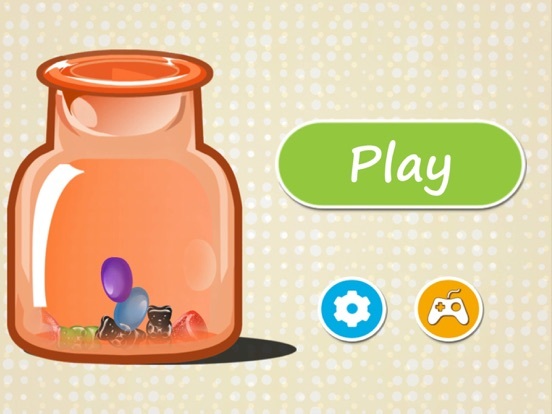 This app is fun to play, and it hardly feels like learning when you’re surrounded by your favorite sweets. The quality of this app is undeniable. It’s really easy to use and has clearly been designed with the target age group in mind. There are no pointless extras to detract attention away from the goal at hand – this app is focussed on learning and creates the right environment to optimize this. At the start of the app, the user shake the tablet or phone to empty the sweets out of the bag, young children will love doing this. It really helps to bring the app to life, it’s little touches like this that make the app special. This app was designed to be educational and is used by education professionals as a way of introducing young children to new concepts. 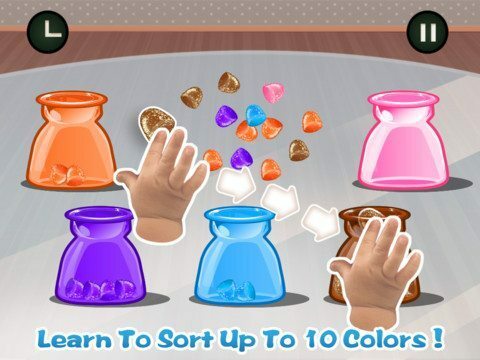 The app is based on the premise of counting up bags of sweets. 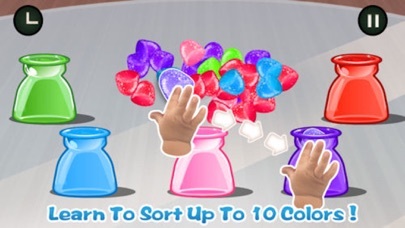 The child must first identify the color and then match the sweet to the right colored bag. Categorisation is a skill babies learn at a few months old, but this app introduces a new way of challenging your child in this area. Once bagged, the sweets must be counted up. The bags are then ordered from most to few sweets, and questions are asked to test the child’s understanding about quantities. 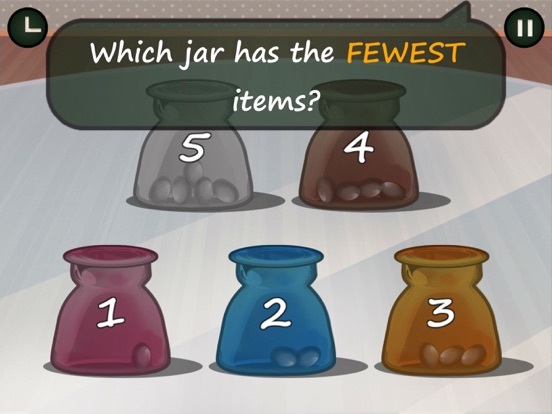 The app makes learning fun, and will inspire kids to continue playing – and learning! On the default setting, the app goes up to the number five, but you can increase it to twelve when you feel your child is ready. 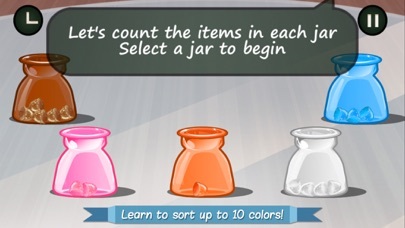 You can also change the color options to help our child learn new colors. These modifications mean that your child won’t tire of this app, because there will always be new variations and new things to learn. 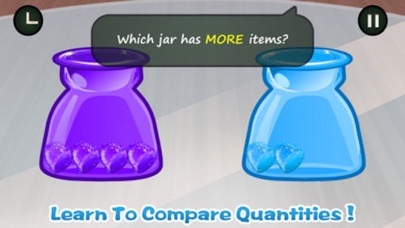 Candy Count Advanced can be downloaded for just $1.99 – not much to pay for an education! The app is fun, colorful, challenging and interactive so your kid is guaranteed to love it. This great teaching tool is well worth the price tag, and you’ll be able to see that for yourself as soon as you hand it over for the first time. 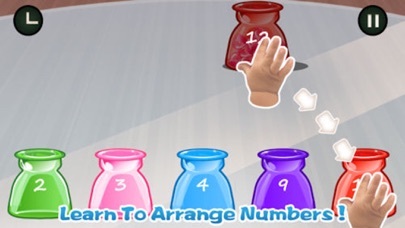 The extra settings including higher numbers and multicolor options, mean that your child will be able to learn from this app for a long time. 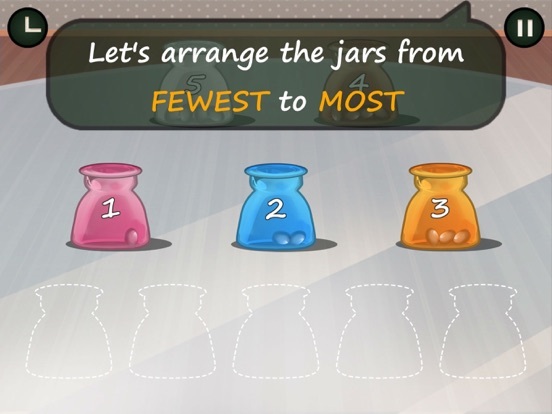 Candy Count is also available as a free download. 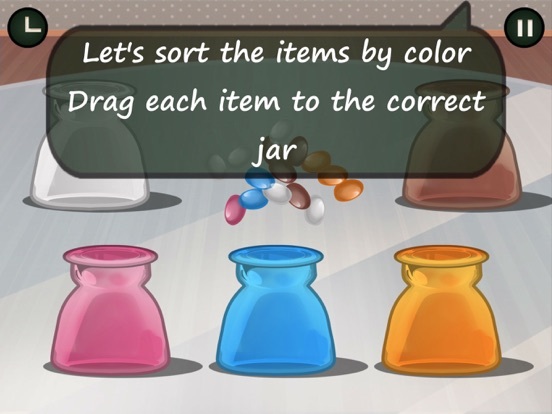 The free version offers a restricted number of color, number and sweet options but is otherwise the same app. 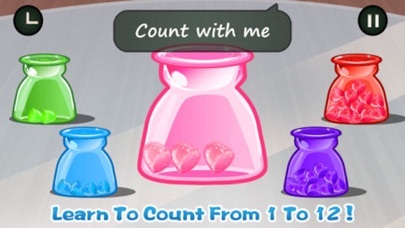 Candy Count Advanced is a very child-friendly app. There are no social media site links, no app store buttons and no advertising. This app is as child friendly as can be. The app itself has been designed for use by toddlers and small children. The app is easy to navigate, and really simple to use. Your child will feel very grown up controlling the app all by himself.